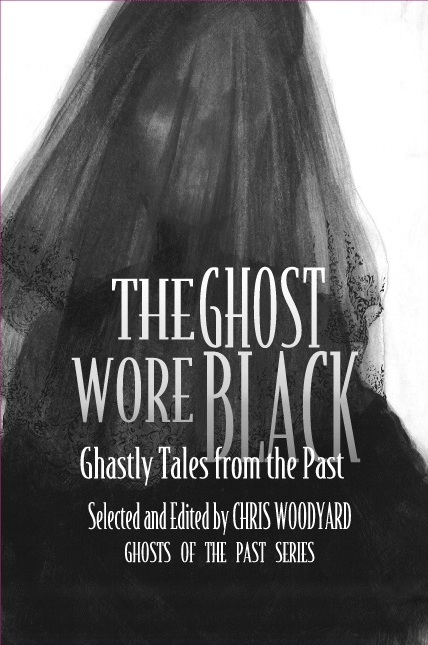 A busy day, so a quick look at a story from The Ghost Wore Black. One of the most popular locations for “ghost-hunters” to investigate is the “haunted asylum.” There is something fascinating about the notion of the insane dead that irresistibly draws paranormal seekers to these sites. I assume it is the threat of chaos, the unpredictability of “insane ghosts” that makes them so thrilling. The common notion is that spirits, whose grasp of reality in life was tenuous at best, cannot tell that they are dead and cannot go to the Light, making an asylum an ideal place to ghost-hunt, a kind of ghost-preserve for the tourist on paranormal safari. What Weird, Unfleshly Thing Stalks the Halls of Flatbush’s Asylum? A plain, matter-of-fact woman is Mrs. Mary Geary, trained nurse in the Flatbush Insane Asylum. She is in the habit of telling the simple truth and nothing else. She does not know how to adorn the bare limbs of the tree of fact with the highly colored fruit of exaggeration and imagination. In a court of justice her testimony would please a jury and would be received without question. Yet Mrs. Mary Geary has been doubted upon what she believes to be a statement of fact. She has not only been doubted; she has been flatly contradicted, jeered at, and told that the evidence of her own clear eyes and her own sharp years is as illusory and unreliable as if she were one of the demented creatures whom she nurses. This is distressing, as all will agree, the more distressing when it is known that the cause of this incredulity is so commonplace a thing as that Mrs. Geary claims to have seen an apparition. In the opinion of her friends and admirers, the other nurses at the asylum, this is not at all incredible, and Mrs. Geary has just cause for indignation. She tells about the ghost with such minuteness of detail, with such accuracy, without the slightest variation. She responds to all the tests usually put to witnesses, and sticks to her vision with a closeness that should vindicate her veracity to everyone’s satisfaction. It fell in this wise. Ten days ago, toward 6 o’clock in the evening, Mrs. Geary was walking along the north corridor of the asylum. It was almost dark outside, only the faintest remnant of winter twilight making its way through the trees and the windows into the unlighted corridor. Mrs. Geary was of sound and disposing mind. She is used to twilight of all kinds, and long residence in the gloomy and gloomily situated asylum has made her nerves of strong and enduring quality. She had just left a number of other nurses and was on her way to her room. She was walking neither fast nor slow. She was thinking of some trivial thing in connection with her duties. At a certain spot in that solemn and mournful corridor she felt an icy wind, damp and touched with the odor of a burying vault, blow upon her face, blow suddenly and steadily, as though a tomb had been opened before her and its noisome air were just pushing out. She lifted her eyes from the floor as she shivered with the chill of this awful breath, and she saw there, before her wide eyes, and but a few feet away, a figure all draped in a black robe, flowing, voluminous, of uncertain outline. The face of this figure was regarding her. Its eyes, deep-set and blazing like two living coals from a furnace depth, were scorching into her, and from its parched lips came a low sound, unlike mortal utterance. Mrs. Mary Geary, thus confronted with an unearthly and unfleshly being, bethought her to turn and flee. But her body was rigid with terror and her feet refused to lift themselves in flight. The spectre, it seems, felt no such fear. It spread wide its flowing robes of night and advanced as if to enclose her. Mrs. Geary’s wide-open mouth gave passage to one fearful shrike that rang through the whole quiet asylum. Then she fell to the floor in a faint. There was a rush of people from all parts of the house, and they found Mrs. Geary lying as one dead. But of cold, infernal breath, of moan, of robe and burning eyes, they found not a trace, not even a brimstone smell. The baffled spectre had vanished, leaving Mrs. Geary behind with the life still in her body. They worked with the good lady right diligently, and when she came to and looked about with fearful eyes they drew from her her story. And all the nurses there present believed and trembled. They remembered that of late they, too, had heard mysterious noises, sudden swishings in corners like the frou frou of garments, unaccountable mutterings in the dead of night, and many other most valuable evidences of the presence of unlaid ghost or ghosts. But Superintendent Sylvester and his assistant, Dr. Titus, did not believe. The superintendent questioned the nurse, adjuring her to deliver to him the truth. She delivered the above story, her first story on awakening from her faint, and she altered it neither in jot nor in tittle. He was as incredulous as though she had not spoken from her heart, and tried to calm the perturbations of the other nurses by his own steadfast and cheerful bearing. But the employees of the asylum were so wrought upon that two of them spent a night in waiting for the ghost, which, however, failed either to appear or to give any ghostly sign. They remained convinced of the assertions of Mrs. Mary Geary, however, and decided that the ghost had not appeared to her by intuition, but by accident, and that it would in the future be more careful and would make no other sign than the rustlings and sighings which have been heard since the apparition as well as before it. The doctors all say that Mrs. Geary was mistaken; that the asylum is infested by rats, and that Mrs. Geary saw a rat, and that the whisperings and swishings are but the skurryings of rats. This is all very well, but who ever heard of a rat so tall that its eyes would be on the level of an erect human being? Who ever heard of a rat in a huge black cloak, and who ever heard of a rat causing a cold, weird wind to blow in front of it? And, further, if there are such rats in the Flatbush Insane Asylum, are they not even more dreadful than ghosts—than the devil himself? Mrs. Mary Geary and the nurses are unconvinced. They say that the asylum is haunted; that the north corridor is the stamping ground of at least one ghost; that no good will come of it, and that the doctors may yet get a fright that will turn the laugh upon them. The doctors are disgusted with the whole business and refuse to talk about it. A briefer account (the one I used in The Ghost Wore Black) was printed by The New York Times the day before, but also emphasizes the rustling noise–the “frou-frou” normally reserved for the seductive sound of ladies’ taffeta petticoats. Kings County Insane Asylum Has a Ghost Draped in Black. The Kings County Insane Asylum in Flatbush is now the scene of the nightly visits of a ghost, clad in black, and with an annoying habit of swishing suddenly upon unwary attendants in a certain corridor after the usual hours of midnight. The attendants are wrought up over it, and the doctors even say something, they can’t tell just what has happened. All agree that a rustling, swishing noise, like that made by trailing skirts, is heard in that corridor at times in the night, and no one has been able to tell what causes it. The other night one of the nurses, Mrs. Mary Geary, had occasion to go through that corridor. Suddenly she heard that dreadful, unaccountable noise behind her. She was petrified by fear. The next moment the ghost was upon her, whirled as quick as a flash and peered into her face. Mrs. Geary gave one shriek and fell fainting on the floor. She has not yet recovered from her fright sufficiently to be about her duties. She is positive that she saw the ghost, and as the days go by and she gets calmer she is able to give more intelligent accounts of its appearance. It is very tall and skeleton-like, draped in black, and gives out a sensation of cold. Except for the matter of color, this corresponds very well with the accepted accounts of the appearance of these visitors. The asylum people became so wrought up over the matter that Dr. O’Hanlon and Mrs. Mollie Clay sat up one night and watched for the ghost. They had a club and revolver with them, and would have made it very warm for any spook. The visitor did not appear that night. The mysterious rustlings, however, continue, and that basement corridor is avoided as much as possible after nightfall. A Haunted Asylum Trained nurses of the same era as Mrs Mary Geary who worked at the haunted asylum. Other articles say that the ghost pulled the hair of several nurses and was believed to be the spirit of a Miss Sarah Hawkes, a seamstress at the Asylum who was disliked by the younger nurses. I’ve found no resolution to the story; the ghost does not seem to have been exposed as a prankster or rogue inmate. The creature reminds us of the panic-inducing Woman in Black, more often found flitting around neighborhoods than indoors. The Flatbush Insane Asylum was notorious for overcrowding and for the abuse of patients, which triggered multiple investigations over the course of decades. Inmates were scalded to death and beaten by nurses who also urged patients to beat the weaker residents. Modern ghost-hunters would say that the Asylum would have every reason to be haunted by the dead and the abused. Yet the ghost in black, rather than tales of the ghosts of tortured inmates, was the only contemporary ghost story from the Asylum I could find. 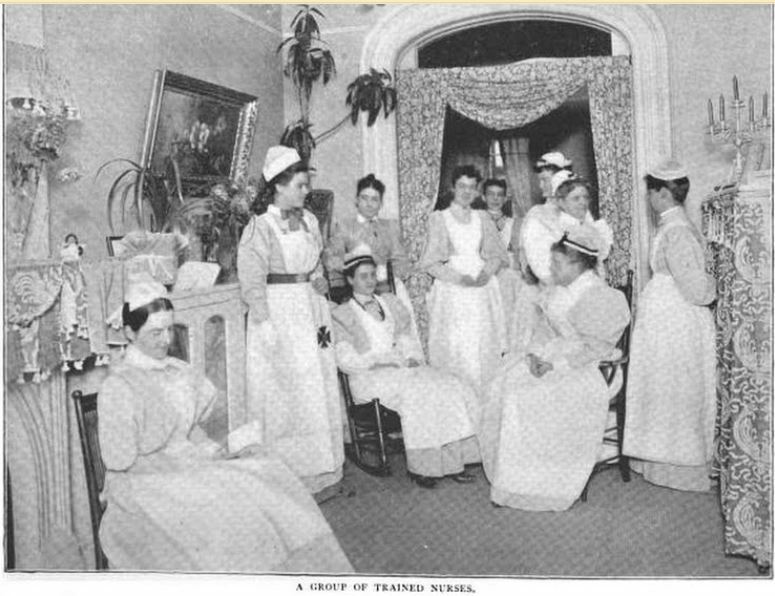 During the 19th and early 20th century, sensational stories regularly appeared in the papers, alternatively expressing horror at the Asylum’s abuses or sharing amusing anecdotes of the “vagaries of the insane.” Perhaps today’s vogue for hunting the ghosts of asylum patients is merely a continuation of the idea of the mentally ill as figures of fear or fun, suitable for an evening’s paranormal entertainment of lurid snake-pit stories, EVP recordings of cries and whispers, and lovingly detailed anecdotes of assault and murder. Is the old Asylum still in existence? Or was it swept away in the asylum reforms of the mid-20th century that put so many truly haunted people onto the street?